As I informed yesterday, there will be a fun contest/giveaway for you, where you can win an Elle 18 newly launched products hamper. 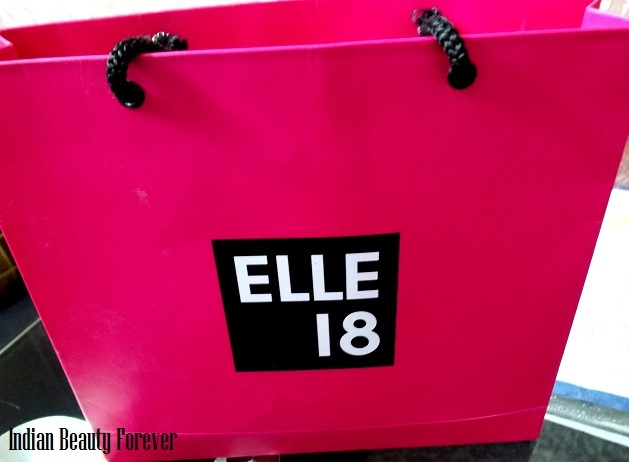 This contest will last for 2 weeks till 31st of october and every week there will be two winners who will be getting the hampers sponsored by Elle 18. It’ easy to participate!! All you have to do is to share your picture with 5 minutes festive makeup look or tell us in the comments your mantra to achieve the super glam festive look easily and quickly! 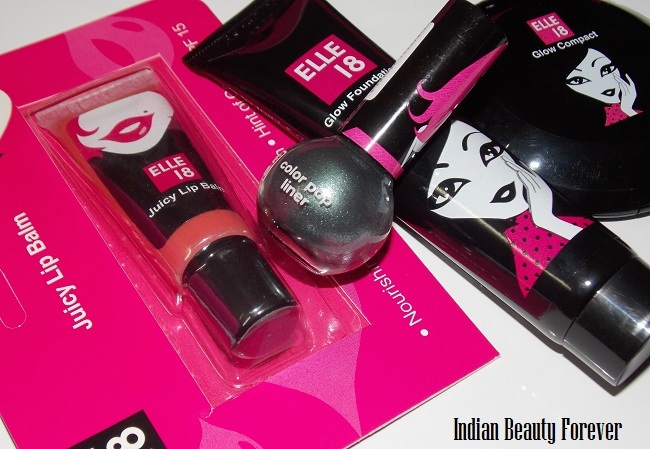 and one Elle 18 product you would love to try! Please read the rules below which are mandatory. It is open for Indian Residents only! You should like our page HERE and Elle 18 India Page HERE. Also mention your FB name and Email address in the comments! You can also take part in Deeptima’s Channel for the same here, and you can participate there too to increase your chances of winning. Thanks doll for the information. Interesting contest Niesha! Would love to participate :) I wanted to know how many entries per person are acceptable? bb cream+lots of kajal+blue/green eye pencil+lip gloss.. and i m done.. my 5 mins makeup..
My mantra of achieving festive glam look is full coverage and bright eyes with lots of mascara and eyeliner, if possible shimmer eyeshadow and a bright pink or red lipstick. I'd love to try the glow foundation or compact from Elle 18.. I like your look a lot!!! 1. I use Lakme Strawberry Face Wash to clean my face. 2. I use Lotus Herbals 60 SPF Sunscreen Lotion to protect my skin from sun-rays. 3. I apply a compact powder to my skin. 4. I apply a Lakme eyeconic kajal to my eyes. 5. Then I apply a waterproof mascara. 6. Then I apply Elle Perfect Red Lipstick to my lips. I would love to try the Elle 18 Juicy Lip Balm. My super glam festive look in 5 minutes would be a smokey brown look with medium coverage foundation and peach blush and highlighter on cheeks. I would love to try Elle 18 Color Pop liner! Niesha, I loved your look!! My 5 minutes festive look mantra would be a skin illuminator followed by kajal on the waterline and a jade eyeliner on the upper lid, pink gloss and some highlighter on the cheeks. :) I'd love to try everything from their new range!! 1. Apply Ponds BB cream along with a little bit of moisturizer. 2. Set everything with a compact. 3. Tightline both upper and lower waterline with a kajal and smoke out the lower waterline. 5. Add a little bit of bronzer on the cheeks. 6. Finish it with Elle 18 Juicy Lip Balm in juicy peach. First apply serum, then apply bb cream , then face powder. At last apply Kajal n lipstick. The 5 min festive look is ready. First apply serum then put bb cream followed by face powder. At last apply Kajal n lipstick. The 5 min festive look is ready. I love to try all the lipstick n nail polish shades from Elle 18. Love the contest. 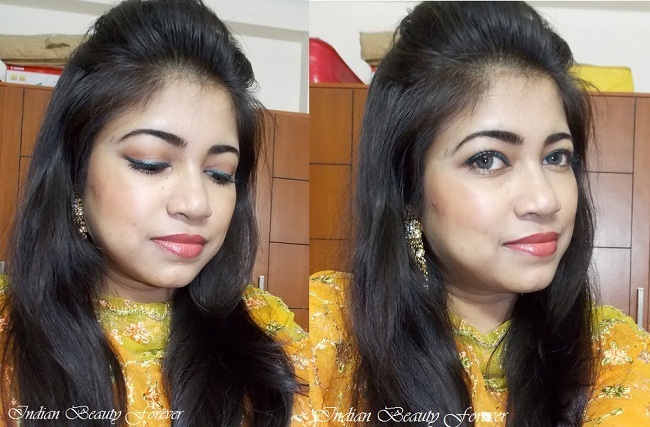 .will send u my entry. .
You look SUPER gorgeous Niesha and thanks for this lovely giveaway. My 5 minute makeup look would be Maybelline Dream Mousse Foundation applied quickly and evenly with a brush, bold rimmed eyes with lakme eyeconic kajal and a bright lipstick with a hint of blush and of course a lovely bindi to complete the traditional look.. I would love to try their color pop eye liner and the metallic nail paints. My mantra for a quick and easy festive look is to use gold eyeshadow. It adds the perfect shimmer to the eyes and gives a brighter look to the whole face, in tune with the festive season. Black eyeliner, kajal and mascara would complete it. For the rest of the face, a BB cream, compact, and a creamy pink lipstick, and some blush if I have the time. One Elle18 product I'd love to try is the Glow foundation . Hey.... how can I upload my pic? Send me the pic at my mail! My secret is to look fabulous is to drink more and more water and have a healthy diet and 1 hour workout with yoga or simple exercise... and really Neisha you always looking fab. and your skin is also too good..
4)Fill your brows with a pencil or powder, it's really important! Hi, I'm visiting you for the first time. I hope i will be obsessed to your website from now onwards. Grateful to Deeptima for introducing u.
my mantra to achieve the super glam festive look -mix one banana with one tea spoon of honey,apply it on your face massaging it for 5 minutes and then rinse with luke warmwater for clean and glowing skin. My Facebook name: Natasha Bhatt. Hey how can I upload my pic?